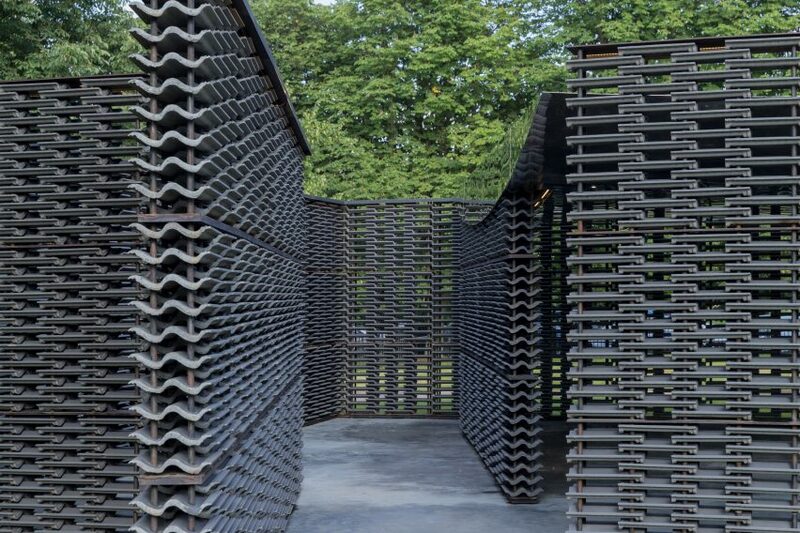 Mexican architect Frida Escobedo has completed this year’s Serpentine Pavilion, a secluded courtyard framed by decorative, latticed walls. 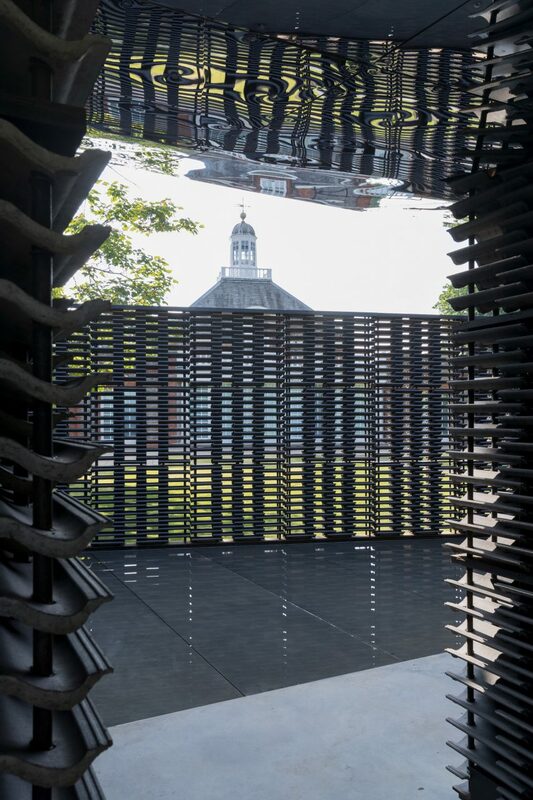 Located outside the Serpentine Gallery in Kensington Gardens, London, Escobedo’s pavilion features walls of concrete roofing tiles, a curving mirrored ceiling and a shallow, triangular pool of water. The aim was to reference the courtyards that are a common feature in Mexican residential architecture, and to frame these with a reinterpretation of the “celosia” – a breeze-block wall that allows light and the breeze to filter through. 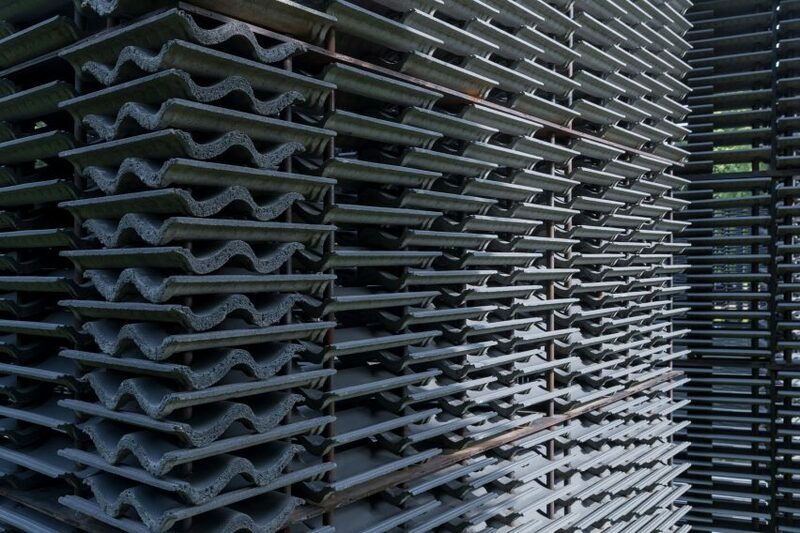 “The materials are quite simple,” explained Escobedo during the press launch today, 11 June 2018. 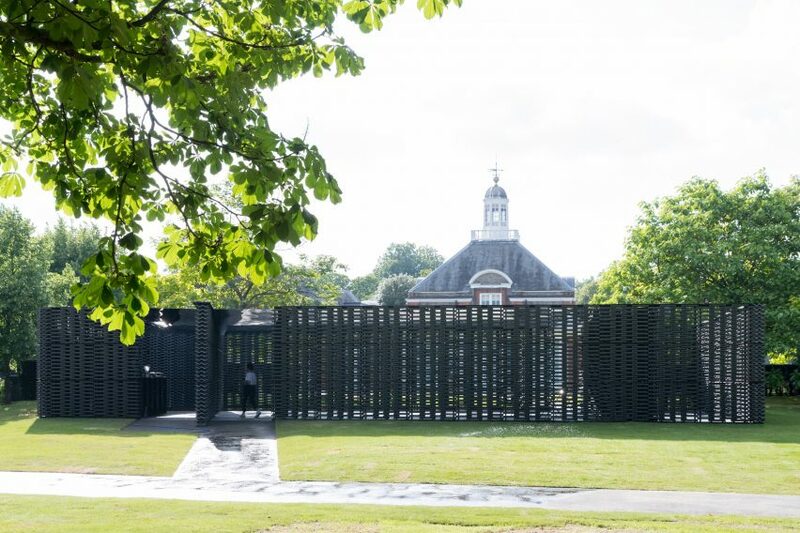 Escobedo’s intention was to create something that would allow the pavilion to not only be site-specific in Kensington Gardens, but also after the summer, when it will be moved to a new, as-yet-unknown location. Escobedo’s previous projects include a gallery in the former home of painter David Alfaro Siqueiros and an Aztec-inspired installation at the V&A. 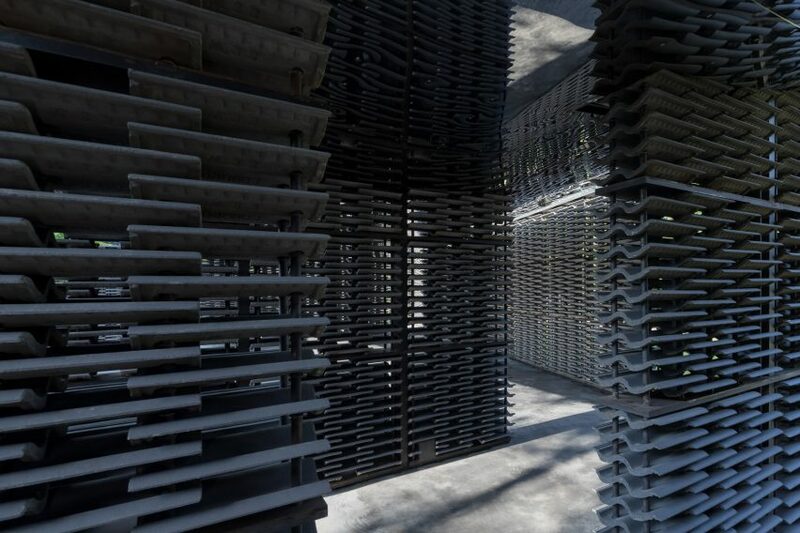 She becomes the 18th architect commissioned to design the Serpentine Pavilion in London. She is younger than any of her predecessors, which include Peter Zumthorand Bjarke Ingels, and is the first solo woman to lead the project since the inaugural pavilion designed by Zaha Hadid in 2000. Serpentine Galleries directors Hans Ulrich Obrist and Yana Peel describe this year’s pavilion as “architecture for everyone”. “In its beautiful harmony of Mexican and British influences, it promises to be a space of reflection and encounter,” they said.